Environment "funaapp1-env" is not running. Waiting for environment "funaapp1-env" to launch. 2012-11-03 18:34:02     INFO    createEnvironment is starting. 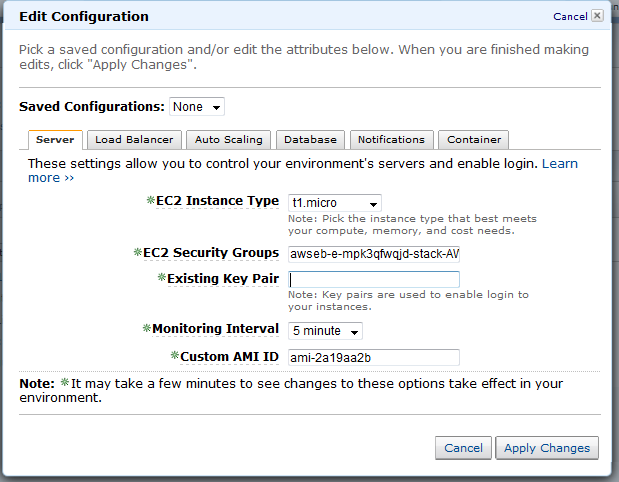 04 as Amazon S3 storage bucket for environment data. 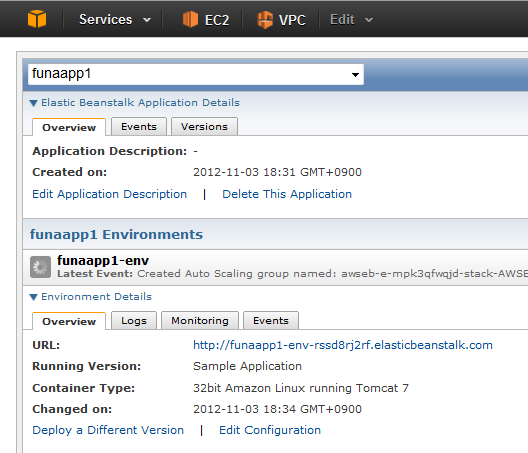 Application is available at "funaapp1-env-rssd8rj2rf.elasticbeanstalk.com". Compressing objects: 100% (355/355), done. Writing objects: 100% (363/363), 4.89 MiB | 26 KiB/s, done.